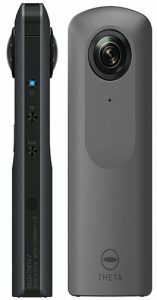 Las Vegas, NV—Ricoh Imaging announced the Ricoh Theta V plug-in Partner program, which will launch in spring 2018. 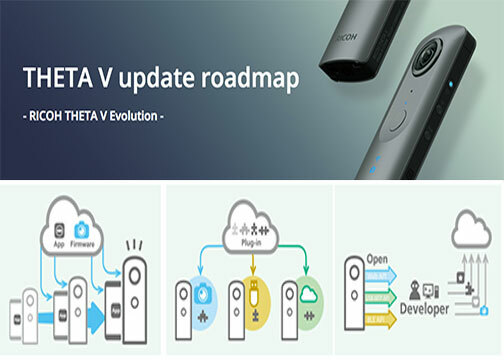 The program will support third-party developers interested in creating their own Android-based plug-ins for the top-of-the-line Ricoh Theta V 360º camera. The device is capable of capturing fully spherical photos and 4K video. The new program is being featured at CES 2018, South Plaza, booth #64704. Attendees are able to get a hands-on experience creating their own plug-in. In addition, each plug-in results in the creation of a new feature for the Ricoh Theta V.
Based on the Android operating system, the Theta V provides a way for third parties to not only create apps and software that extend the capabilities of 360º imaging but also create new features and functionality for the camera itself. These can include customized capabilities that enhance the Theta V’s use for specialty applications and in vertical markets. 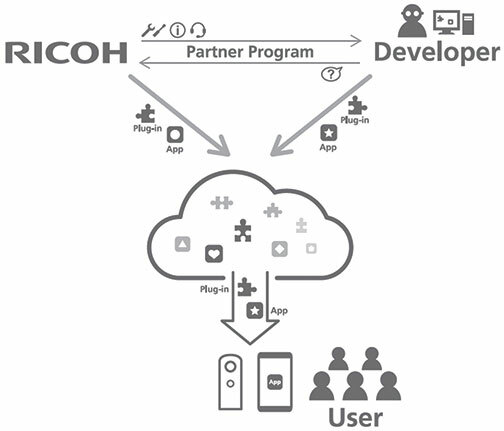 As part of the partner program, Ricoh is making available the Theta V’s application program interface (API). Furthermore, it is granted access to its software development kit (SDK). It will also provide tools and guidance to support plug-in development. Moreover, it will open an online Ricoh Theta V partner marketplace, where plug-ins can be uploaded and shared. Already, a plug-in preinstalled in the Theta V enables remote playback. This plug-in enables mirror playback of 360º images/video stored on-camera on a large-screen monitor. However, a separate, compatible wireless display adapter is required. 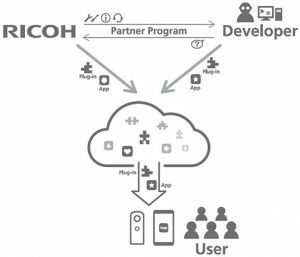 “By opening the platform for application development, we are enabling the Ricoh Theta V to be a constantly evolving product. For this reason, we are very excited about the new partner program,” said Wataru Ohtani, corporate associate vice president and general manager of Smart Vision Business Group, Ricoh Company Ltd.